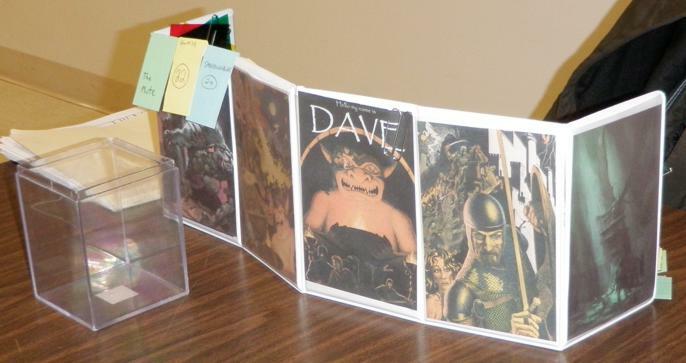 When the first set of fifth-edition Dungeons & Dragons basic rules arrived, I created dungeon master screen inserts. I put these pages in my mini screen from Hammerdog Games. Others have attached them to screens of their own creation. As I have used my screen, I noticed that I never reference some panels, and that some questions still often lead me to the books. Based on experience, I revised my screen inserts. Download the updated dungeon master screen inserts. The new PDF includes all the pages in the old set, but adds some new pages, and tweaks the old pages. Choose which pages to use. I never looked at my screen’s list of skills and tool proficiencies, so I replaced this panel. Instead, I added an insert for encounter building. When I improvise an encounter, I typically reference the Experience Thresholds by Character Level table. This table helps me avoid creating an easier or harder fight than I want. Also, the table offers a handy guide for awarding experience for non-combat encounters. My screen will also lose the insert for movement types. I don’t need a whole page to tell me that slower forms of movement cost an extra foot for each foot moved. I still wanted the table of typical difficulty classes and the jump distances, so I copied those items to a new panel. This replacement adds the effects of cover and the DCs for tracking and concentration checks. Everyone knows you can use an action to cast or attack, right? 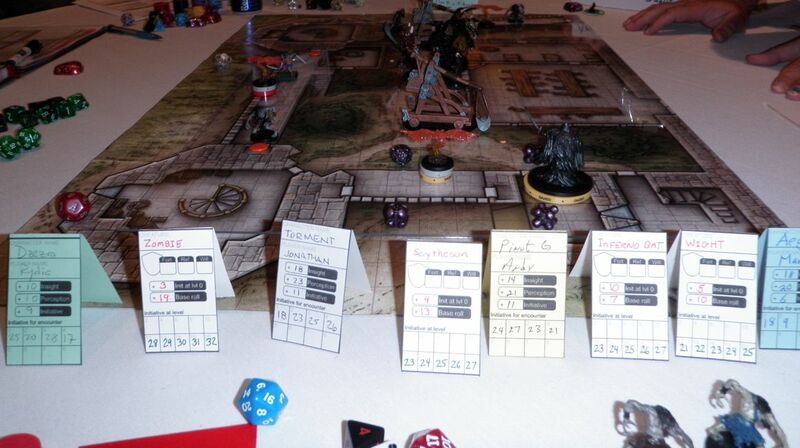 In place of these obvious entries, the table of Actions in Combat adds rules for grappling and shoving . Finally, my existing screen had no rules facing the players, only pictures. I yanked one of the pictures and added the table that shows experience points needed to level. I hope players stop asking me how many points they need to level up. This entry was posted in D&D fifth edition, Dungeon master's tools and tagged dungeon master screen, initiative tracking. Bookmark the permalink. Thank y0u for this. I got the mini Hammerdog screen because I liked the original inserts you created, so please keep uploading as you continue to update the pages! Great idea! I really like the tents you have. I am going to have to try them out. Keep up the good work and thanks for sharing! You have so many great ideas! Which combat tracker do you use? I saw one in one of the pictures you have posted, but I can’t find it anywhere to print it out. Thanks. Thanks! I’m not sure what you mean by combat tracker. Do you mean the Pathfinder Combat Pad?